The Evil Dead is my favorite trilogy of all time. And not only within the scope of horror or even just compared to other trilogies. It’s the franchise as a whole that I love so much. I can’t choose one simple reason for it. It’s not just the acting, the writing, or the directing. It’s not the campiness or the memorable one-liners. It’s not the sheer creativity or the greatness of the adventure. Simply put, it’s all of it, wrapped together in one big, passionate project. I’ve certainly seen the first Evil Dead film more times than any other film I’ve ever watched. It’s my favorite of the original three. I understand that the second film is a bit more accessible. 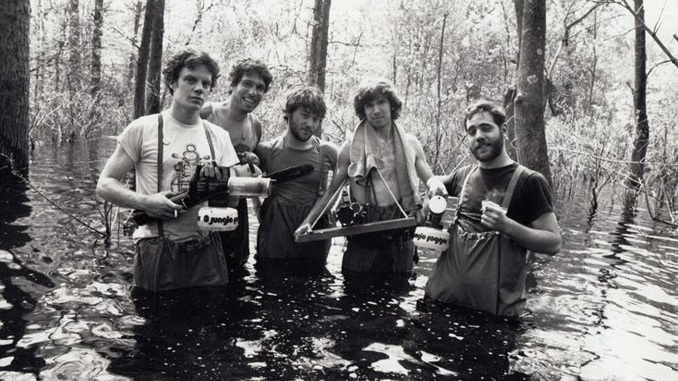 Sam Raimi and Co. had more money, they had the invaluable experience of making their first feature-length film behind them. Everything about the second film is just a touch more polished, from the overarching story down to the smaller details and shot compositions. I know that people love the third movie, as well. They had even more financial backing, even more resources, and even more professional talent. The third film is probably the most widely accessible of the three — an action-packed adventure story with resilient, bloodthirsty deadites sprinkled in for flavor. But there’s just something about the first film that makes it absolutely perfect to me. It has a bootstrapping sensibility, the feeling of a project fueled almost entirely by passion, with little-to-no resources and absolutely no promise of fame or fortune. 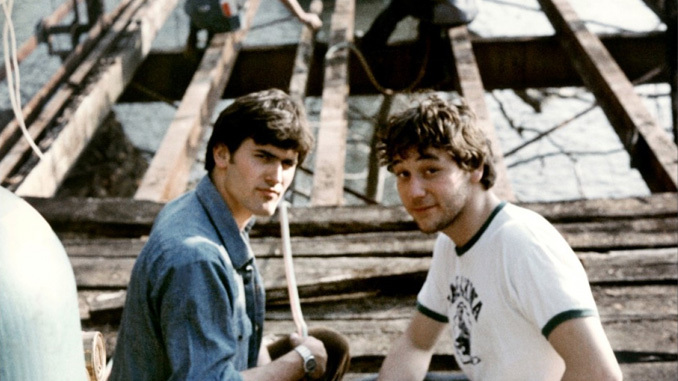 Sam Raimi was just 19 years old when he wrote The Evil Dead, turning 20 right before filming started. Bruce Campbell was only eight months his senior. The film wasn’t easy to make. The cabin they rented was all but entirely dilapidated, and without any kind of real crew, they had to set to work themselves to fix up the bits that would appear on camera. Most of their gear was on loan from a university one of the actors was attending. When the film’s shooting schedule kept extending farther into the wintery months, the actor had to head back to school, taking some of the most important pieces of gear with him. There’s something to be said for throwing your entire self into something, knowing how easy it is to fail, how often others before you have swallowed defeat. It’s the mentality I’ve realized I’m most attracted to in creative spaces — the creator who fulfills their project because the alternative is simply not an option. 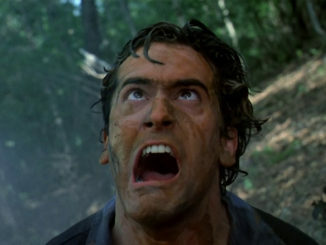 The Evil Dead franchise embodies that mentality to the fullest extent. 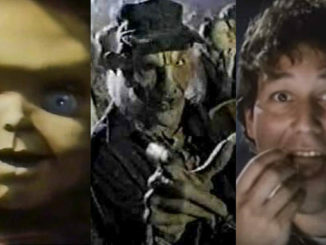 Regardless of how much money they had or didn’t have or whether the odds were in their favor or against them, each of the three films captures that contagious excitement that makes them stand apart from almost anything else. The Evil Dead was released 36 years ago today. And though I wasn’t one of the lucky few who experienced opening night in one of those select theaters, my first viewing experience (and each one that followed) sure was one of the most magical I’ve ever had. 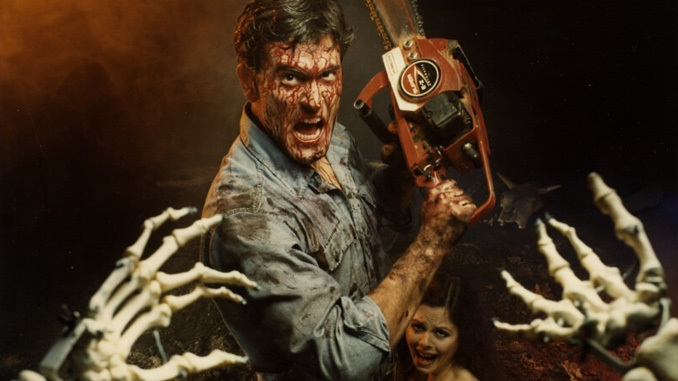 So thanks, Evil Dead, for 36 years of being exactly what I love most about about film. one of my favorite film series. YES!